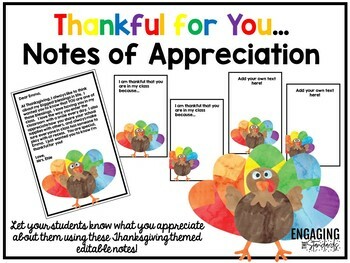 This Thanksgiving, tell your students what you appreciate about them with these Thanksgiving themed notes of appreciation. Simply hand-write a special note to each of your students or use the editable pages to type in your special messages. Enjoy this special Thanksgiving FREEBIE!